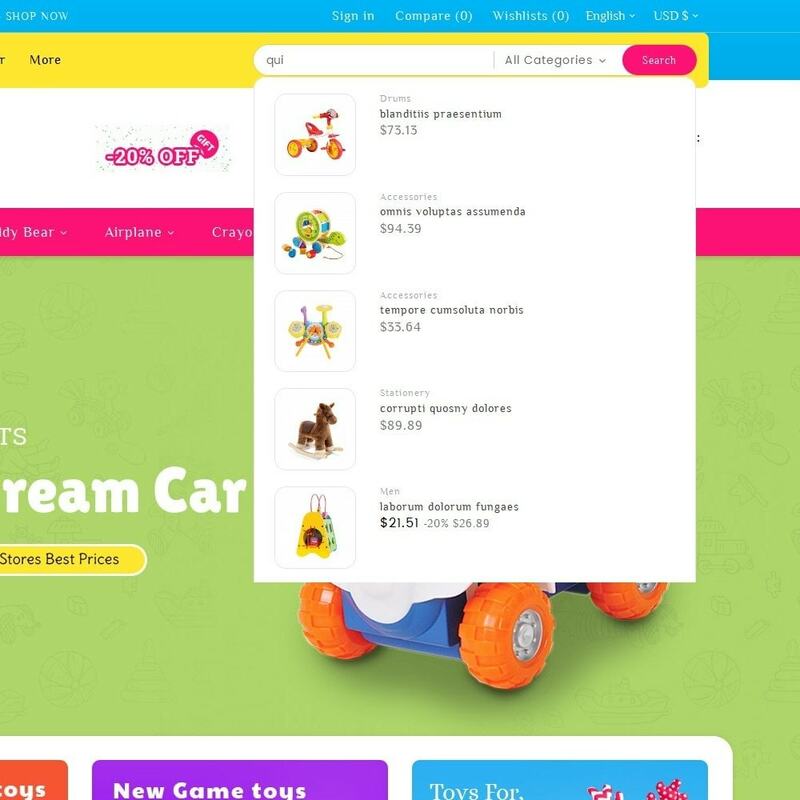 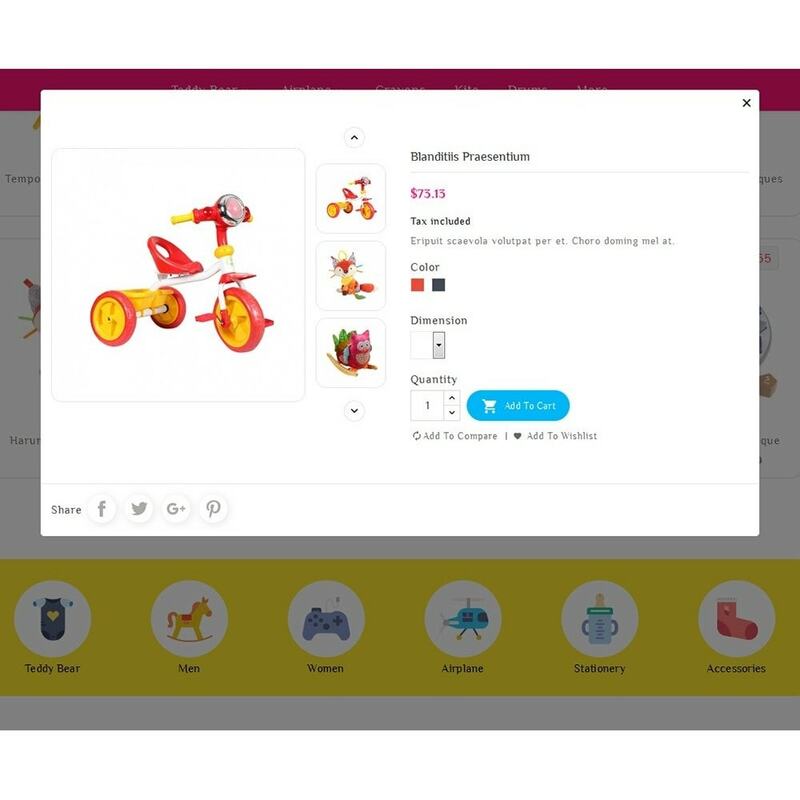 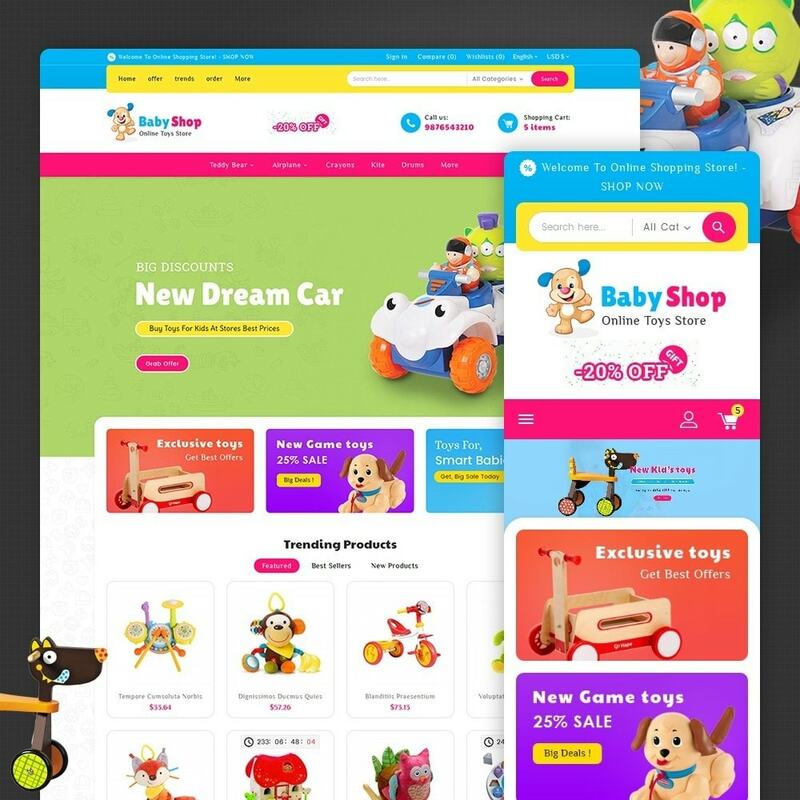 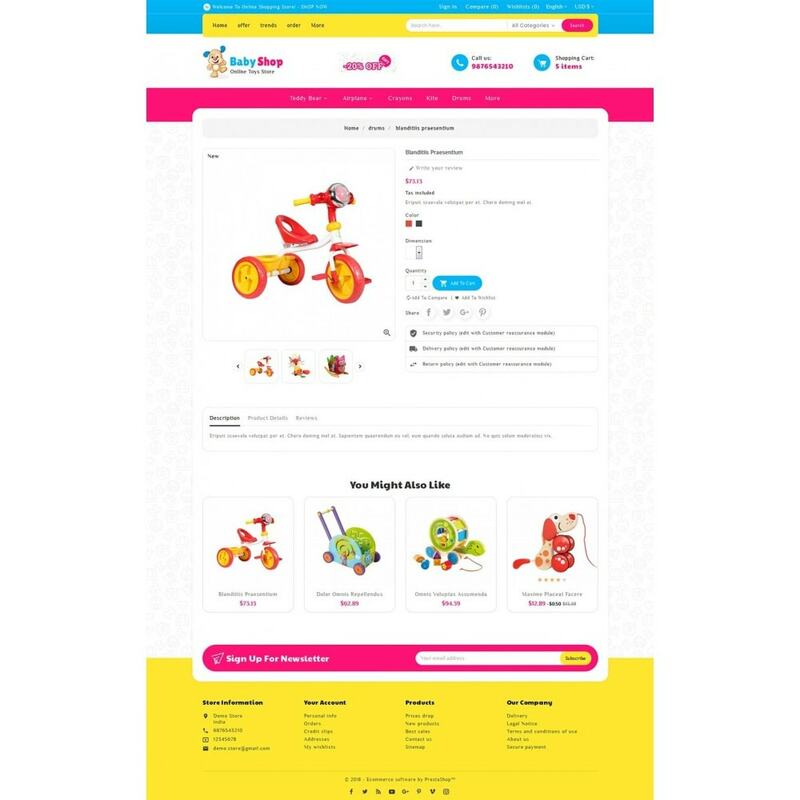 Baby Toys is a Responsive Theme designed for baby, kids, toys, cloths, fashion, apparel, gift, education, stationary, cake, foods, sweets, accessories and multi-purpose store. 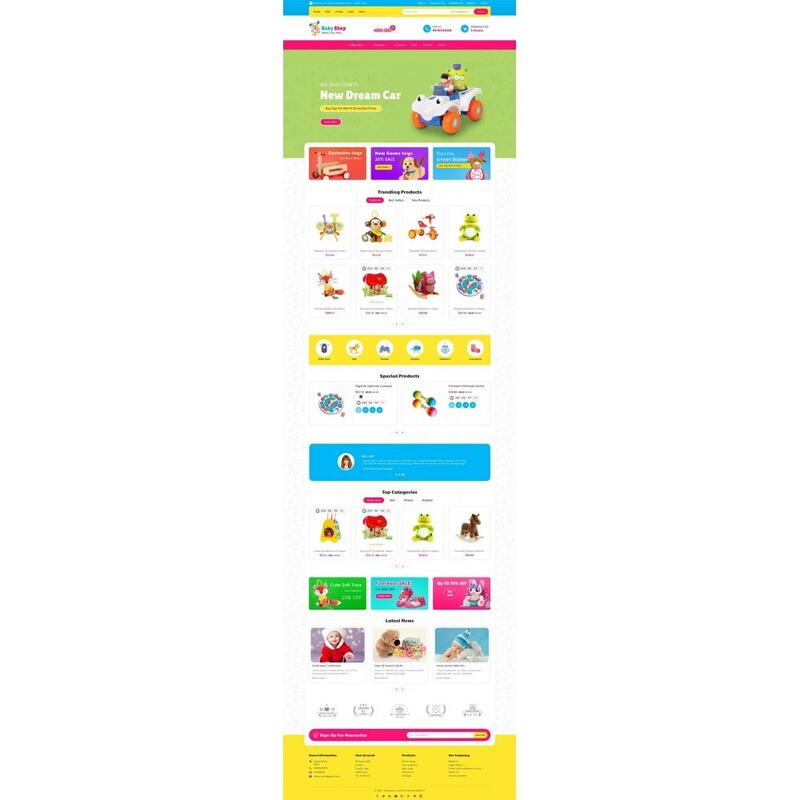 It is very clean and looks professional. 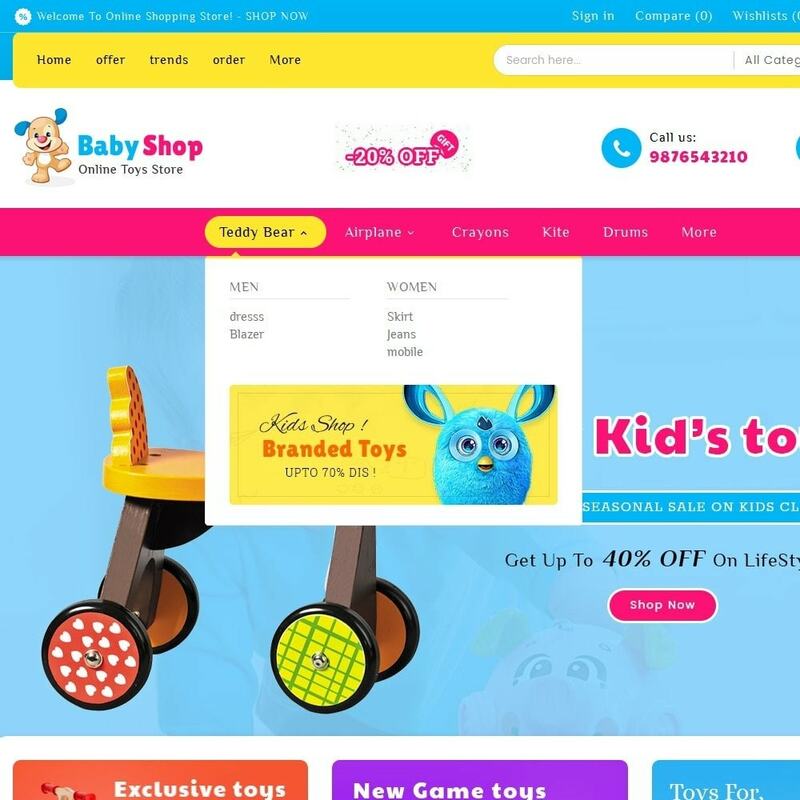 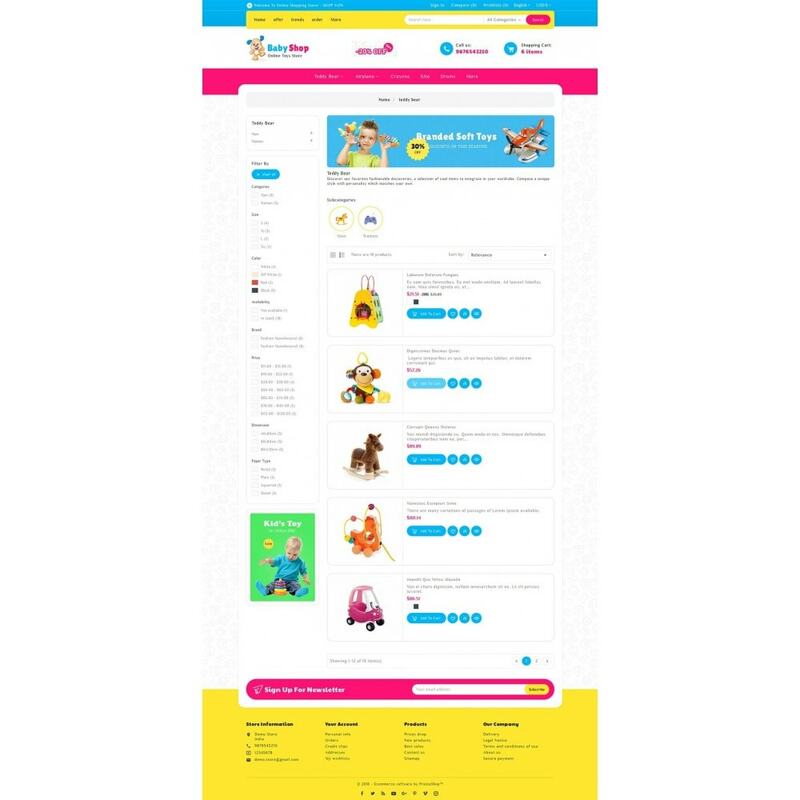 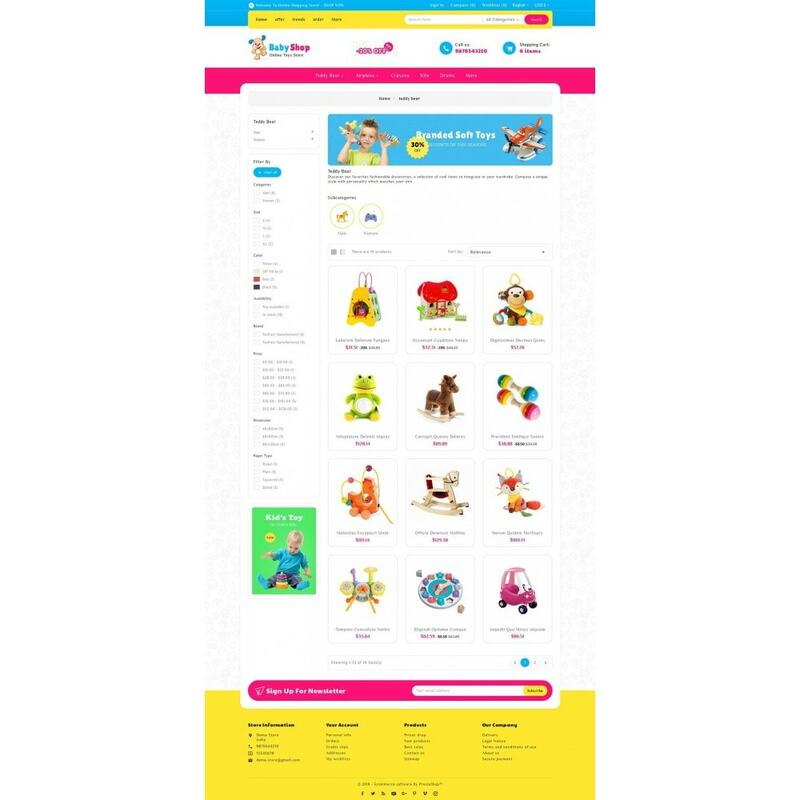 Baby Toys is a Responsive Theme specialized for baby, kids, toys, cloths, fashion, apparel, gift, education, stationary, cake, foods, sweets, accessories and multi-purpose store. 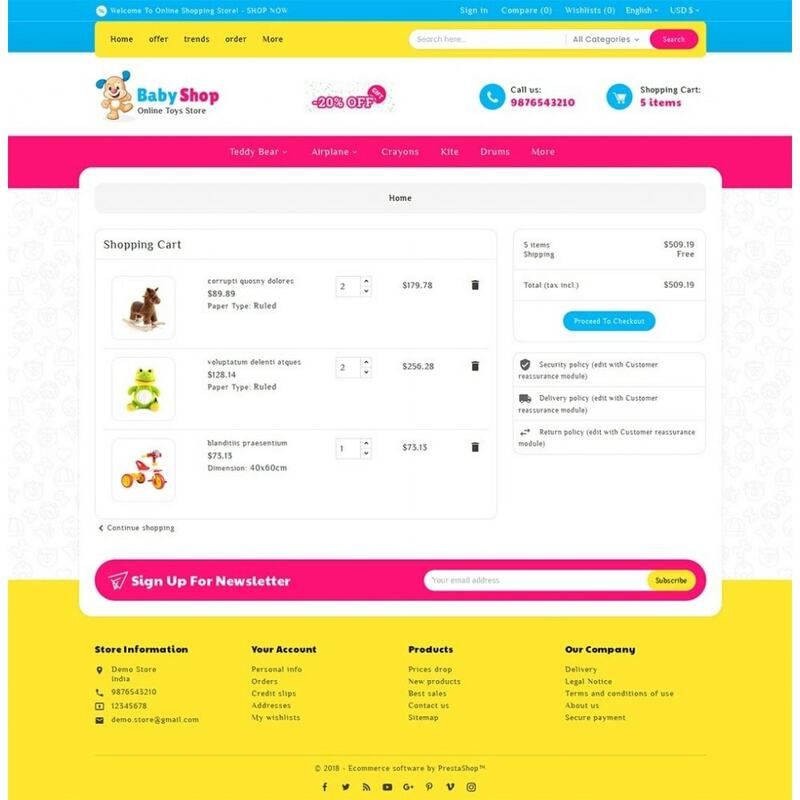 It is very clean and looks professional.